Aa. Louth as an additional Security to the Adventurers. 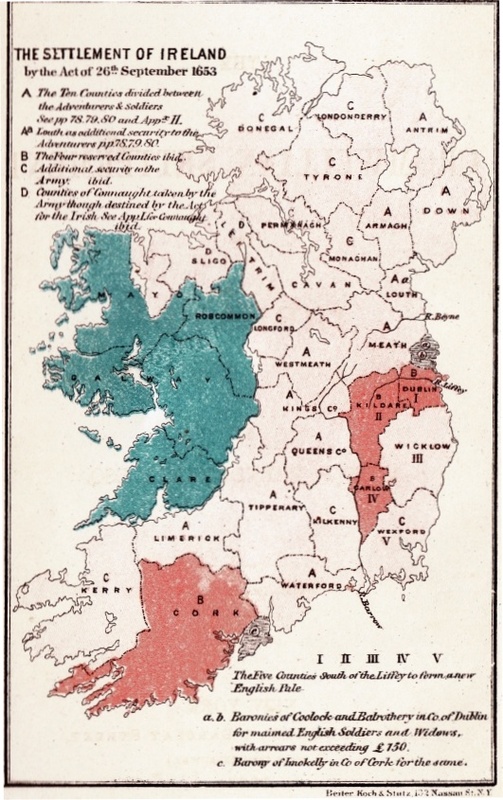 D. Counties of Connaught taken by the Army though destined by the Act for the Irish. I, II,III, IV, V The five counties south of the Liffey to form a new English Pale. a.b. Baronies of Coolock and Balrothery in Co. of Dublin for maimed English Soldiers and Widows with arrears not exceeding £150. c. Barony of Imokelly in Co. Cork for the same.